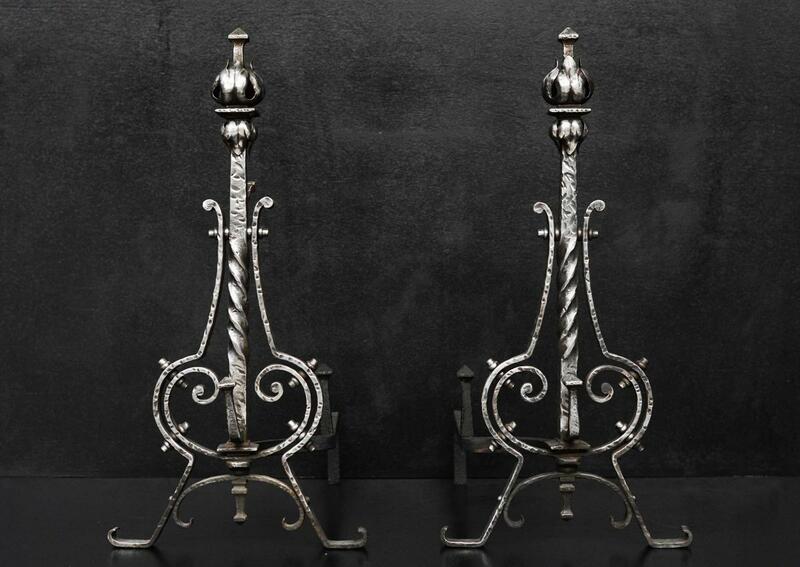 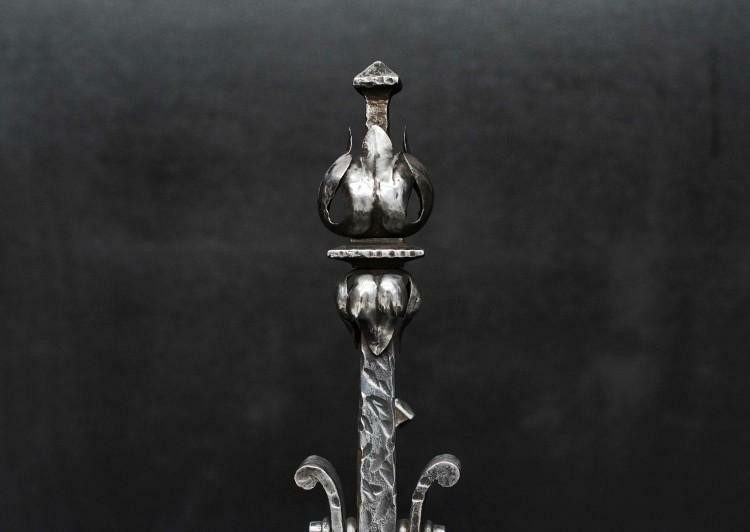 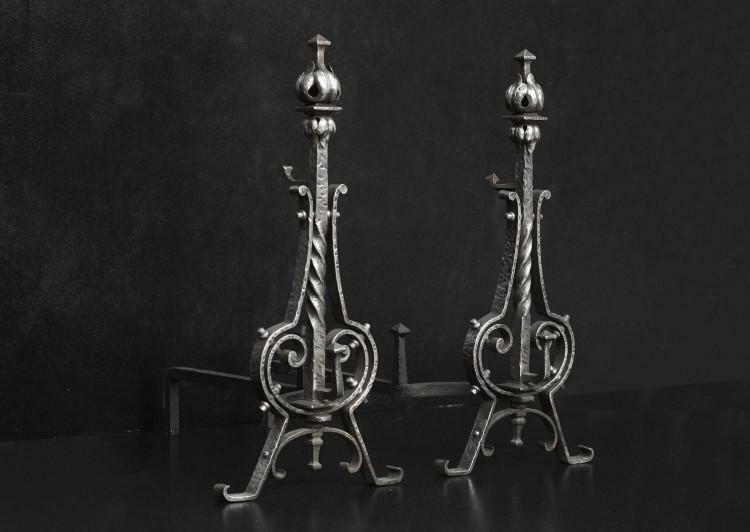 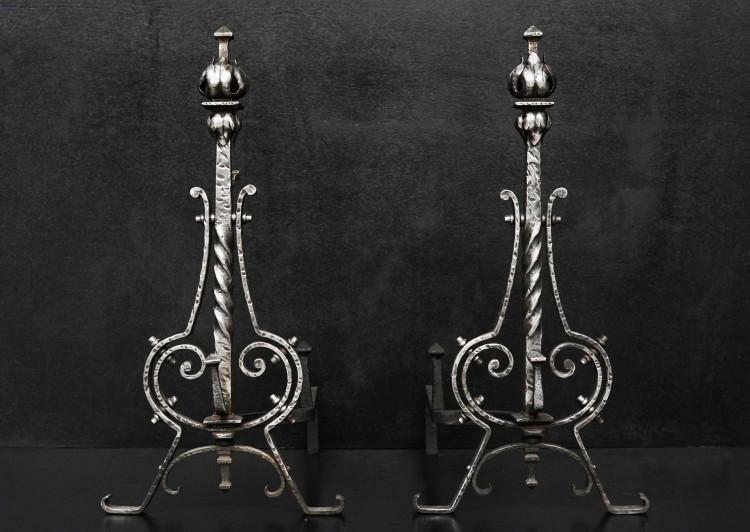 A pair of polished iron Arts & Crafts firedogs. 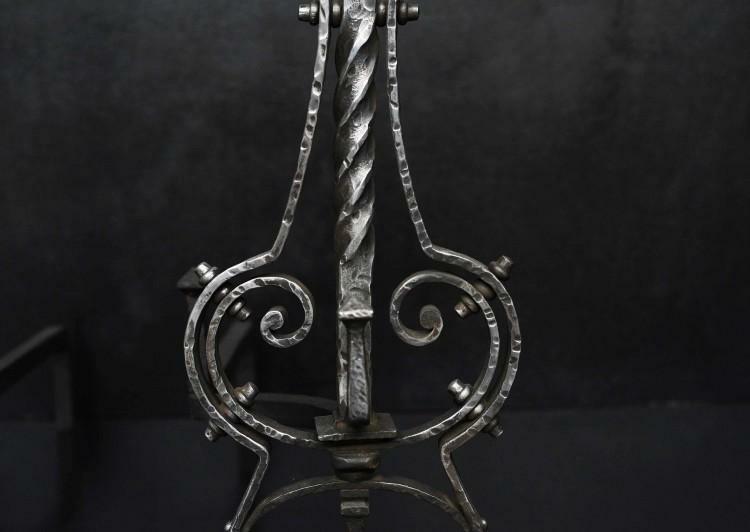 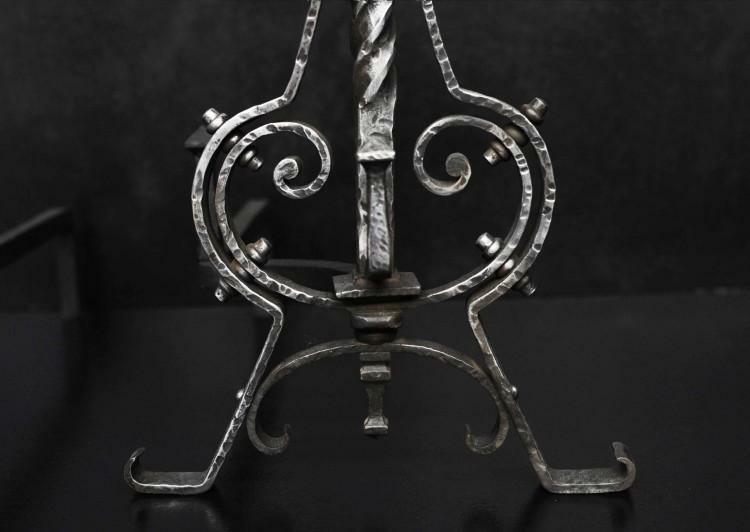 The shaped feet surmounted by scrollwork and barley twist shafts and decorative finial to top. English, late 19th/early 20th century.